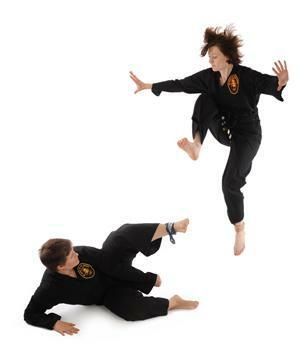 In beginning training, effective self-defense is taught with kicks, punches, parries and initial forms. Conditioning and strength building is included in every class: Get fit, have fun, be healthy! Advanced training begins after demonstrating knowledge of self-defense. 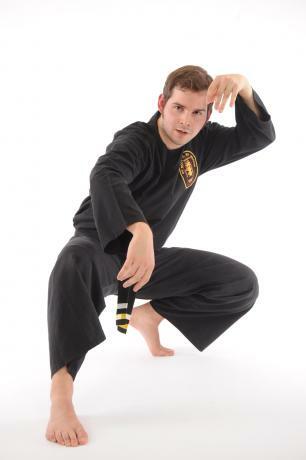 Students study the fighting styles of the tiger, monkey, snake and crane. Our introductory special includes a month of unlimited classes plus a uniform for only $99. 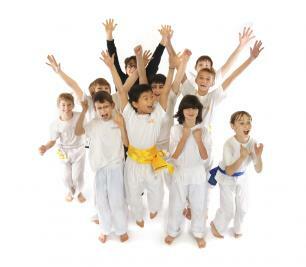 New students may try out a class free with no obligation. Click here for class times. Kids 4-6 should attend "Jungle Gym." Teens may attend either Kids, Adults, or mixed level classes. ALL ages attend Saturday at 10 am.